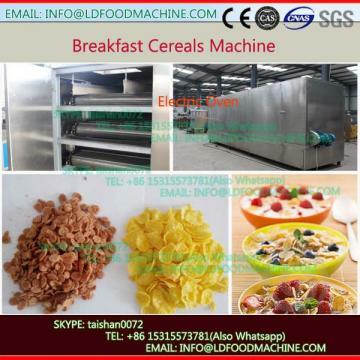 Cereals Snacks, Corn flakes machinerys with the feature of Operating easily all-automatic, Self cleaning to save manwork and time, Sanitary food grade, Durable with a long life time. Corn Snacks machinerys is not just a combination of machinerys, but an integrated process starting with raw material feeding and ending at the packaging room. 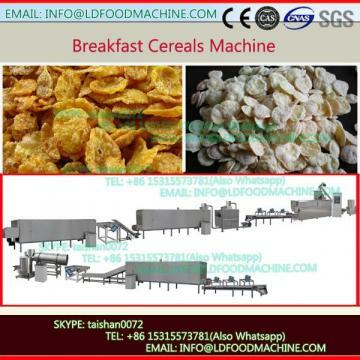 Thus, the system is quite versatile and able to produce a wide Variety of cereal flakes and shaped breakfast cereals. 1 Mixer:There are 3 machinery model numbers to choose from base on the production Capacity. 3 Extruder machinery: To choose DSE model extruders base on the production Capacity requirement. The raw material include corn powder, cereal powder, soybean powder, shrimp powder and so on. Shape of the pellet depends on the moulds. 4 Hoister: Convey cheetos to the dryer, the height of the hoister depends on the dryer. 5 multilayer dryer:Electric dryer, controlled by control box, temperature range 0-200ºC.Inside is stainless steel double layer mesh net. Drying time is adjustable according to speed. We have dryers of 3 layer 5 meter, 5 layer 5 meter, 5 layer 7 meter, 5 layer 8 meter, 7 layer 8 meter, and 5 layer 11 meter steam dryer. 7 Flavoring line: To LD oil and phagostimulant, the equipment are: single roller, double roller, round roller, eight-angle roller. Varies depends on the different production line setting, to LD oil to the surface of the product and make it even. 8 Cooling conveyor: To lower the product temperature in order to pack it easily. 9 Sifter: To remove the wasted material and ensure quality, meanwhile to ensure the reuse of materials. of advanced technique and experience into our company, we have established a strong technical guarantee system. Our company is a manufacturer of puffed extruder and food . Our products are sold very well throughout China and are also introduced to Southeast Asia, East Europe, Africa and other regions. Our market share is increasing each year. Act as a good adviser and assistant of clients, enable them to get rich and generous returns on their investments. 3.. Train technical personnel for clients. ReLDect clients, devote ourselves to improving the total value of clients. 2.. Help clients to draft solving plans.